Lord Stanley - Vancouver's best kept secret. 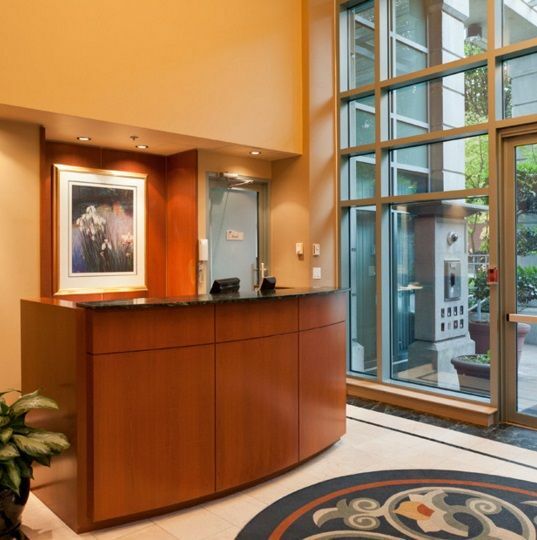 Lord Stanley is a gem of an apartment hotel conveniently located in Downtown Vancouver's picturesque West End neighbourhood. Offering the best in natural beauty and urban convenience, Lord Stanley is just steps from the sights of Stanley Park and Coal Harbour, the beach at English Bay, and the shops and restaurants of Denman and Robson Street. You'll enjoy the location of the hotel, as well as the modern amenities, comfort and value that our suites have to offer. Staying at Lord Stanley is like living as a local, whether your stay is just one night or for several months. Make sure your next visit to Vancouver includes a stay at Lord Stanley. All Suites include free continental breakfast, WiFi (individual high speed unshared hot spot per suite) and secured underground parking. These comfortable one bedroom suites have all the basics to make you feel at home, plus partial views of the North Shore Mountains, Stanley Park, and/or Coal Harbour. Our Deluxe one bedroom suites are located on the 5th to 12th floors. These comfortable, non-smoking suites feature a slightly larger bedroom than our Standard suites, have all the basics to make you feel at home, plus floor-to-ceiling windows showcasing partial views of Stanley Park and the North Shore Mountains. 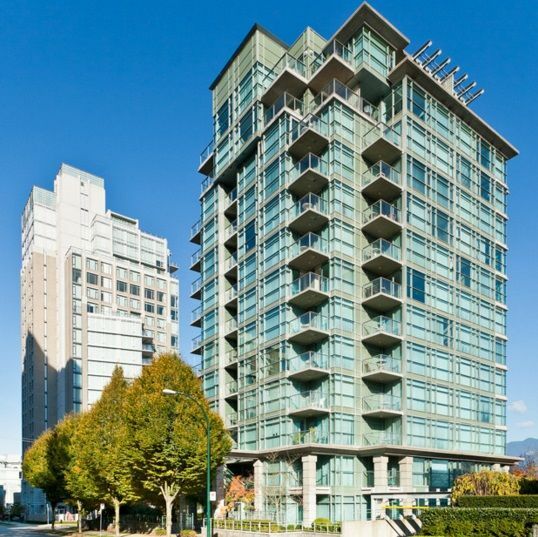 Located on the 6th to 13th floors, our Premium one bedroom suites provide stunning unobstructed views of Coal Harbour, Stanley Park, and the North Shore Mountains. These comfortable, non-smoking suites have all the basics to make you feel at home, plus a dining nook for your convenience. Our Premium two bedroom suites are approximately 1,000 sq ft in size, offering maximum comfort, space and views, as well as all the basics to make you feel at home. A minimum stay is required for these non-smoking rooms. Either an enclosed solarium or balcony. Fully equipped kitchen (Including fridge, oven, dishwasher, sink, and microwave. WiFi access - special monthly rate available. Secured Underground Parking - Special monthly rate available. Continental breakfast 7-9am every day. 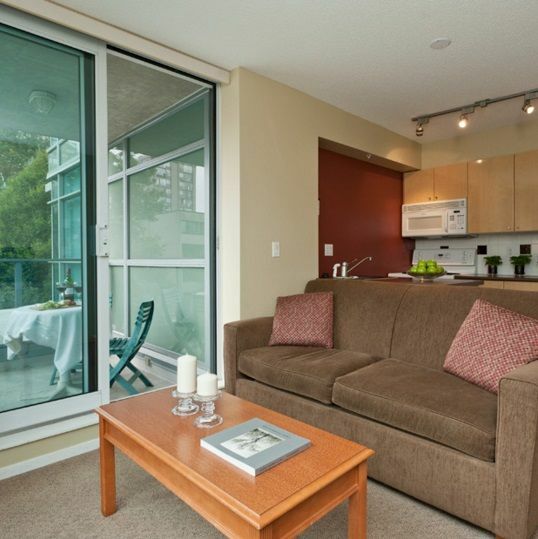 Rates from $129 for a Value One Bedroom Suite to $505 for a Harbour View Two Bedroom Suite. Please contact Julia for details.